Enjoy this fashion-forward 3-piece occasional set in your den, library, or family room. Round end table glass top and oval coffee table glass top with a frosted glass insert are perfect for displaying decor, books, or lamps. Curved chrome legs with dark brown finished wood accents deliver long-lasting support. Brighten up your home with this set of fresh, contemporary occasional tables. 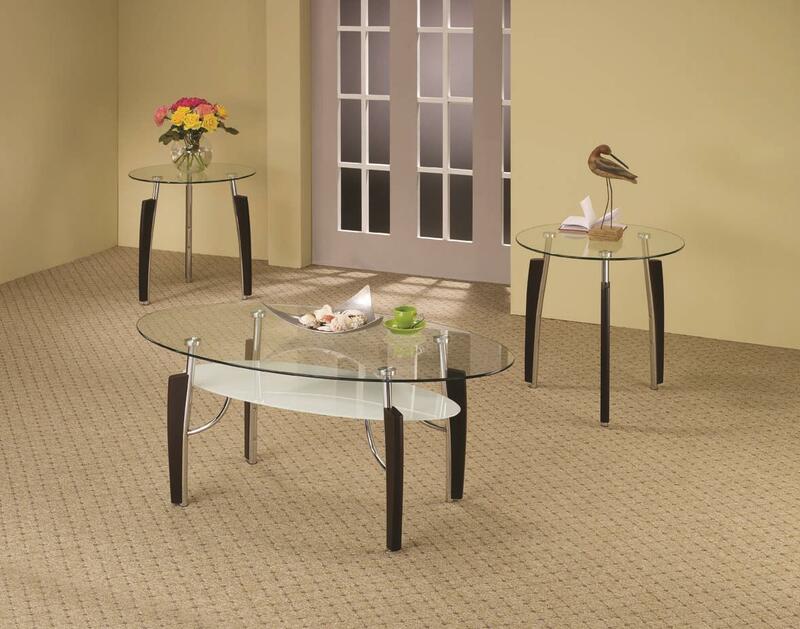 The Occasional Table Sets 3-Piece Contemporary Round Coffee & End Table Set by Coaster at Rife's Home Furniture in the Eugene, Springfield, Albany, Coos Bay, Corvallis, Roseburg, Oregon area. Product availability may vary. Contact us for the most current availability on this product.